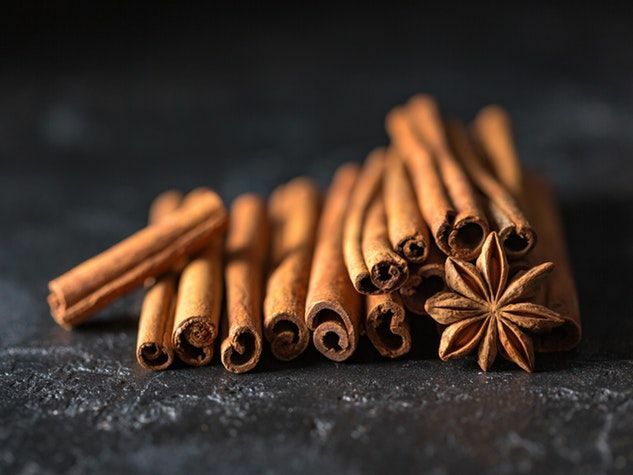 For a majority of people, the scent of cinnamon is associated with Christmas, with its cookies, cakes and egg nog drinks, but there’s no need to wait until December to enjoy it. This is one of the most used spices in the world, found in as many savory dishes as in sweet. In many countries, it is also appreciated for its medicinal properties, especially because of its richness in antioxidants. Cinnamon is produced from the bark of young branches of the cinnamon tree, a plant of the Lauraceae (or Laurel) family, native to Asia. It is one of the oldest known spices. It was used by ancient Egyptians in the process of embalming. During Roman times it was as precious and expensive as gold and, therefore, reserved for the rich. Today, this spice is grown mainly in India, Sri Lanka, Indonesia and China, but sometimes also in the Caribbean, Brazil and Guyana. Two species are mainly cultivated: Ceylon cinnamon (C. verum) and Chinese cinnamon (C. cassia). The former is ochre colored (yellowish) and the sticks, which are made of thin layers of bark (about one millimeter thick), are easily crumbled. The latter is a darker color, almost brown, and the sticks are thicker (a few millimeters thick), less sweet and a bit more bitter. You can use the powder or the whole sticks in cooking or as a topping. The sticks have the advantage of keeping their aromatic oils longer (for about a year, instead of a few months). To avoid losing the aroma, it will require storing the sticks and powder in an airtight container, away from heat, light and moisture. It is preferable to only add the powder towards the end of the cooking time, because it becomes bitter when cooked for too long. On the other hand, cinnamon sticks can withstand cooking longer. They should be crushed lightly and strained before use. However, they can also be left whole and removed after cooking. Then they can be rinsed, sponged and stored until the next use.